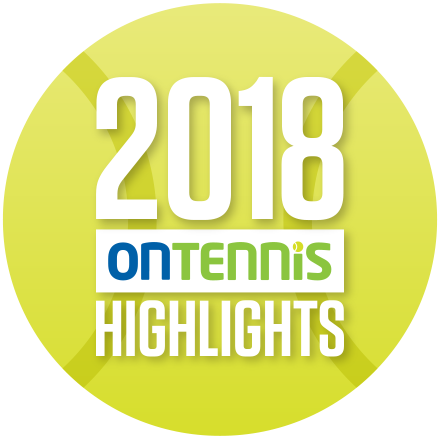 The level of play from our youngest competitors was extraordinary in the 2018 Junior Provincials, both indoor and out. There were many compelling matches and plenty of drama! Pictured above, the U12 Outdoor Provincial Champions, David Asenov and Anastasia Kavounov. Hats off to Anastasia Kavounov who won the U12 Girls Singles in both the Indoor and Outdoor Championships and finished the year as the number 3 player in Ontario and Canada. 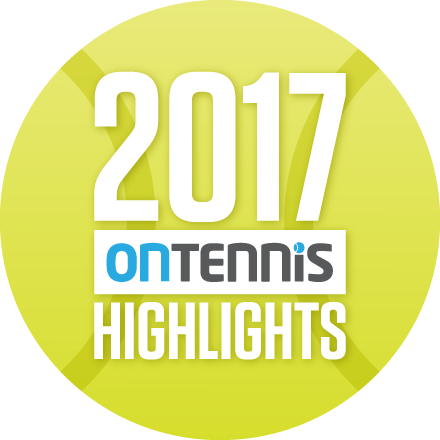 The Indoor event hosted by ACE Academy at Cedar Springs in Burlington and the Outdoor tournament hosted by Kew Gardens Tennis Club in Toronto. The future of tennis in Ontario looks bright. The next Bianca, Milos or Denis? The U12 Outdoor Provincial trophy winners! U12 Outdoor Provincials Girls Singles finalist Anna-Raphaelle Serghi with OTA Executive Director Jim Boyce. U12 Outdoor Provincials Girls Doubles Champions Bailey Muller and Anna-Raphaelle Serghi with finalists Gian Octa and Anastasia Kavounov. U12 Outdoor Provincials Boys Singles finalist Matthew Jingtao Yang with OTA Executive Director Jim Boyce.